Interesting selection to spend some time swimming in Osaka. Is it not your initial time here? Tell us how it went using the Facebook comments below or contacting us directly! 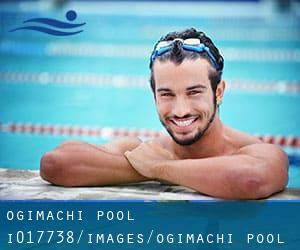 Ogimachi Pool is only one of all the swimming pools Swimia is offering you, and its data has been shared with us by a swimmer like you.Bear in mind you can actually now promote Ogimachi Pool by sharing this page with your pals, adding comments and linking to us. This sports center gives 25 meters, 8 lanes, Indoors. For this Swimming Pool, only phone number is number here. If you believe that any in the knowledge is incorrect, please make contact with us. Help us be better day-by-day. Updated on 2019 Hokukou , Konohana-Ku , Osaka , JAPAN (Postal Code: 554-0033). Swimmers like you reported 25 meters, 8 lanes, Indoors. Unfortunately we do not have the email address of this Swimming Pool, but we can give you the phone number. Updated on 2019 1-8-15 Asaka , Sumiyoshi-ku , Osaka , JAPAN (Postal Code: 558-0021). This sports center provides 25 meters, 8 lanes, Indoors. For this Swimming Pool, only phone number is number here. Updated on 2019 Kitakagaya , Suminoe-ku , Osaka , JAPAN (Postal Code: 559-0011). Swimmers like you reported 25 meters, 8 lanes, Indoors. Unfortunately we do not have the e-mail address of this Swimming Pool, but we can give you the phone number. Updated on 2019 2-1-48 Morinomiya , Joto-ku , Osaka , JAPAN (Postal Code: 536-0025). Swimmers like you reported 25 meters, 8 lanes, Indoors. Unfortunately we do not have the email address of this Swimming Pool, but we can give you the phone number. Updated on 2019 Sekime , Joto-ku , Osaka , JAPAN (Postal Code: 536-0008). Among all the activities supplied by the center, in case you are interested in swimming you will enjoy 25 meters, 6 lanes, Indoors. Just in case you desire to contact this Swimming Pool before dropping by, we only know the phone number. Updated on 2019 Owada , Nishi Yodogawa-ku , Osaka , JAPAN (Postal Code: 555-0032). Among all the activities offered by the center, when you are considering swimming you will enjoy 25 meters, 5 lanes, Indoors. Just in case you need to contact this Swimming Pool before dropping by, we only know the phone number. Updated on 2019 1-6-1 Tamade Higashi , Nishinari-ku , Osaka , JAPAN (Postal Code: 557-0043). This sports center offers 25 meters, 8 lanes, Indoors. For this Swimming Pool, only phone number is number here. 3-chome, Aduma Zyuuzou No. 1 No. 2 , Yodogawa-ku , Osaka , JAPAN (Postal Code: Unknown). Swimmers like you reported 25 meters, 8 lanes, Indoors. Unfortunately we do not have the email address of this Pool, but we can give you the phone number. Updated on 2019 Lawn Rice Field 1-8-1 , Kita-ku , Osaka , JAPAN (Postal Code: 530-0012). Swimmers like you reported 25 meters, 4 lanes, Indoors. Unfortunately we do not have the email address of this Swimming Pool, but we can give you the phone number. Updated on 2019 Momodani , Ikuno-ku , Osaka , JAPAN (Postal Code: 544-0034). This sports center delivers 25 meters, 8 lanes, Indoors. For this Swimming Pool, only phone number is number here. Updated on 2019 6-14-6 Takadono , Asahi-ku , Osaka , JAPAN (Postal Code: 535-????). Among all the activities offered by the center, if you are interested in swimming you will enjoy 25 meters, 8 lanes, Indoors. Just in case you want to contact this Swimming Pool just before dropping by, we only know the phone number. Updated on 2019 Nishikujo , Konohana-Ku , Osaka , JAPAN (Postal Code: 554-0012). Among all the activities provided by the center, should you be considering swimming you may take pleasure in 25 meters, 3 lanes, Indoors. Just in case you need to contact this Swimming Pool before dropping by, we only know the phone number. Higashi Yodogawa Ku 2-24-24 , Yodogawa-ku , Osaka , JAPAN (Postal Code: 533-0006). Among all the activities supplied by the center, if you are interested in swimming you are going to get pleasure from 25 meters, 6 lanes, Indoors. Just in case you desire to contact this Swimming Pool just before dropping by, we only know the phone number. Updated on 2019 Nagai Park , 1-1 Nagai Park , Higashi Sumiyoshi-ku , Osaka , JAPAN (Postal Code: 546-0034). Among all the activities offered by the center, if you are interested in swimming you will appreciate 25 meters, 8 lanes, Indoors. Just in case you need to contact this Swimming Pool prior to dropping by, we only know the phone number. 1-4-1 Shiromi , Chuo-ku , Osaka , JAPAN (Postal Code: 540-8578). This sports center delivers 20 meters, Indoors. For this Swimming Pool, only phone number is number here.